A safe and non destructive process ! Depending on the size of flanges, our clamps are designed in two or more sections. The thickness of our clamp varies according the fluid pressure and its material is adapted to the fluid and temperature. 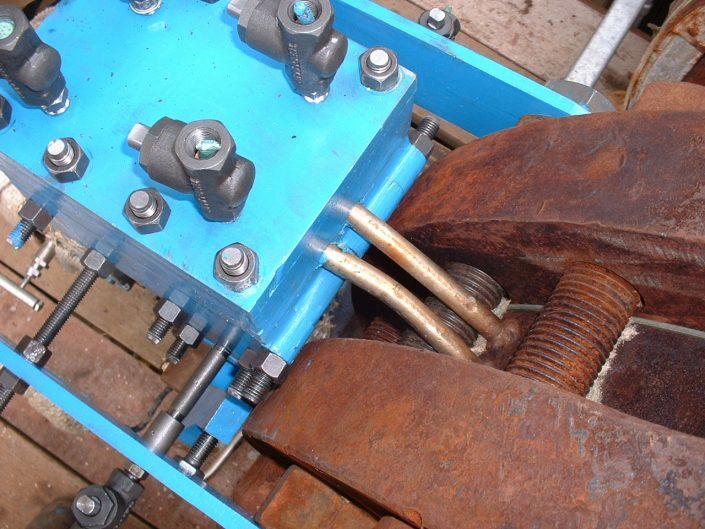 Most of our clamps are machined with peripheral side lips. 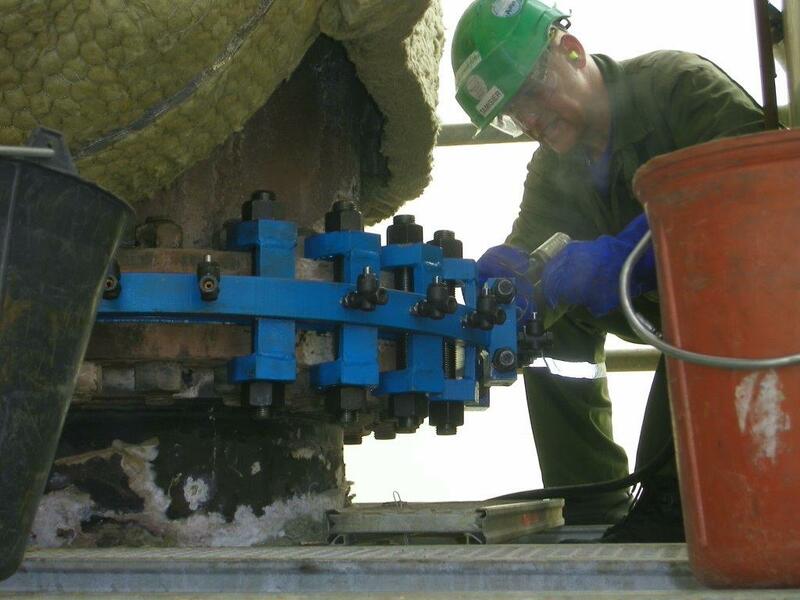 The caulking of these lips leads to a perfect mechanical adjusting of the clamp. 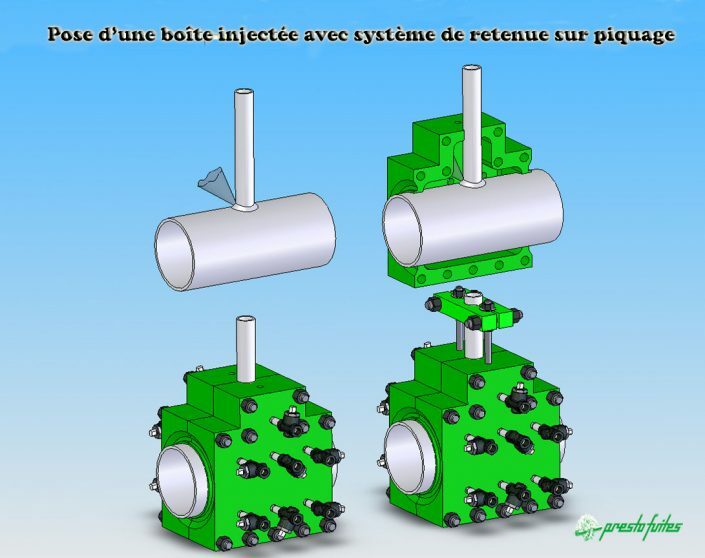 Our injection valves are positioned (placed) between stud/bolts to guarantee an homogeneous and complete compound filling. With the view to limiting even more the stress on the flanges’ stud/bolts during the injection stage, all our clamps are designed with safety retainers called ‘’stiffeners’’. 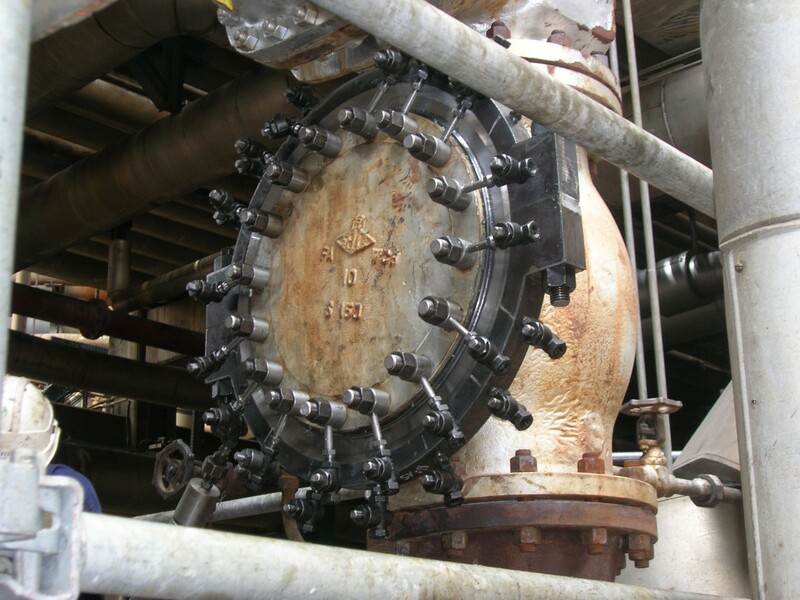 In case of a leak on the gasket of flat face flanges, the sealing is obtained by injecting a clamp machined with a central groove and by installing and injecting ring adaptors on all stud/bolts. 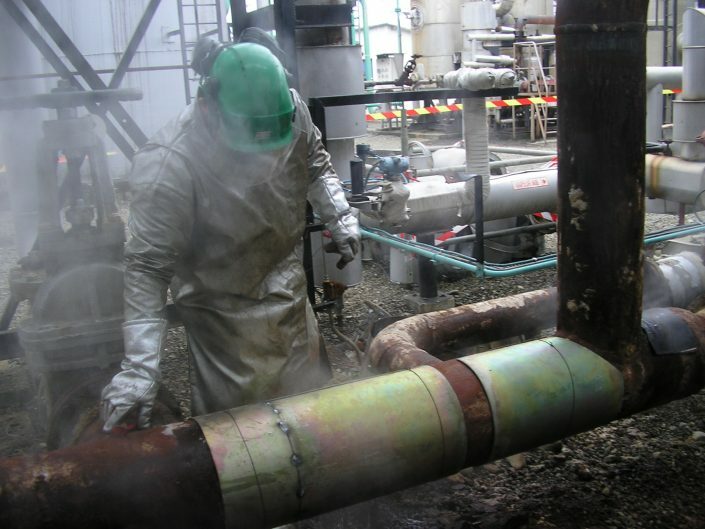 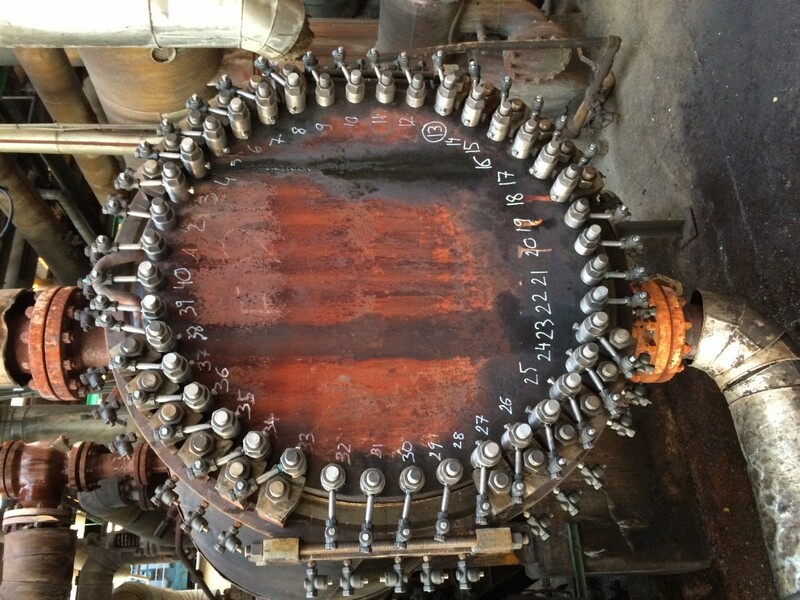 The pipe is covered with a metal enclosure which is progressively filled up with our sealing compound. 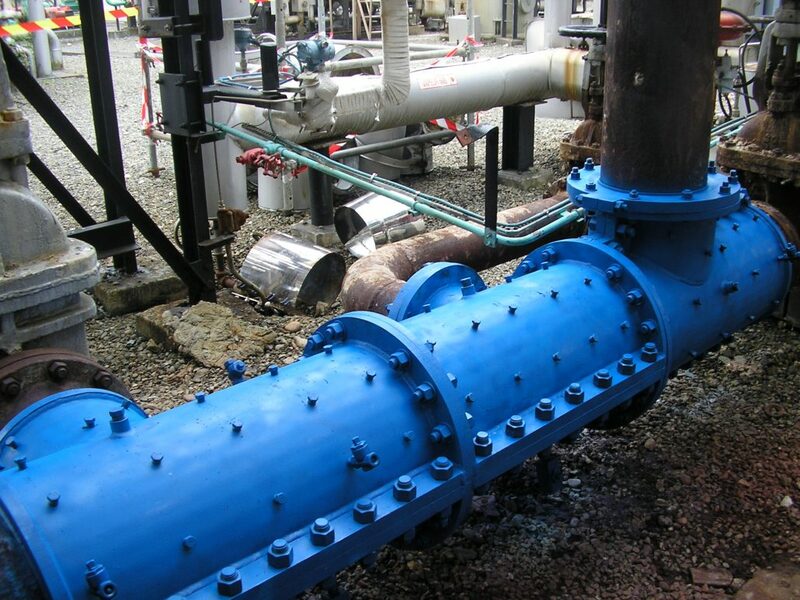 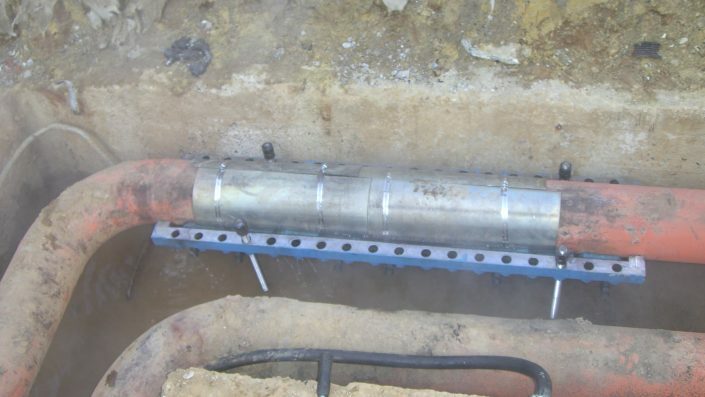 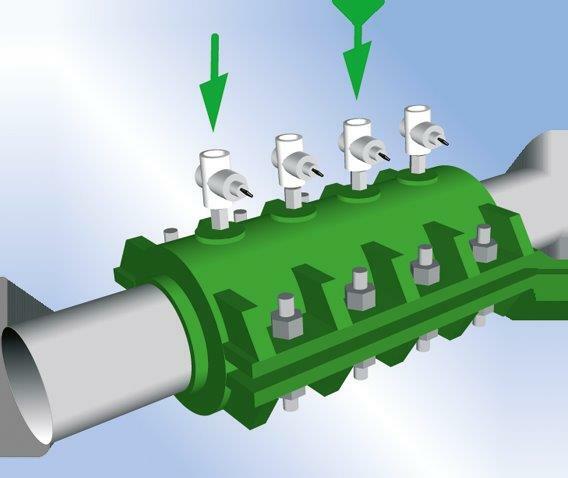 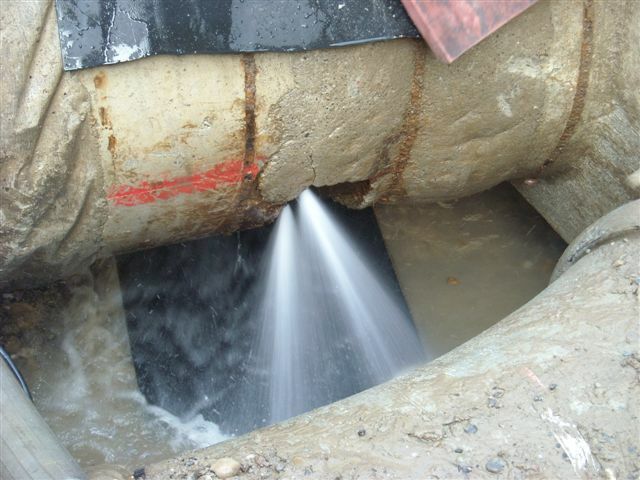 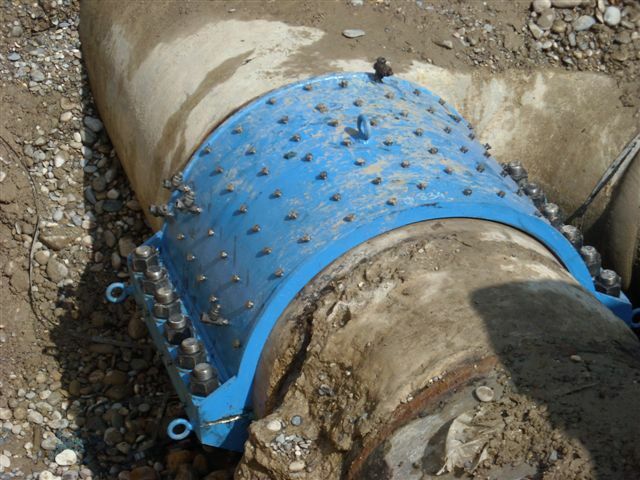 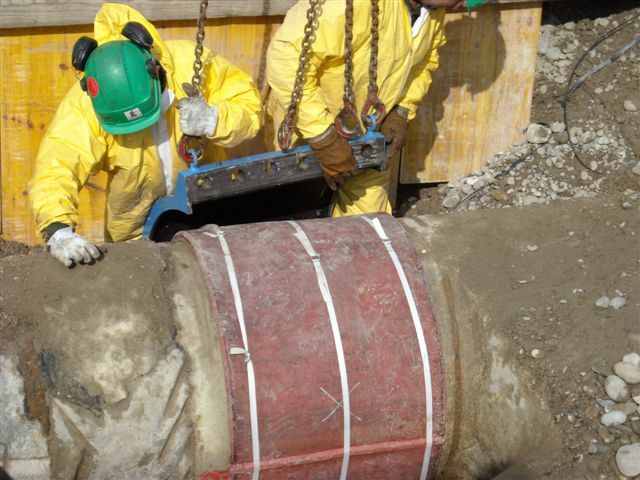 In order to limit the potential risks of compound intrusion into the pipe line, a protective sleeve could be placed over the leaking point before installing and injecting the metal enclosure. 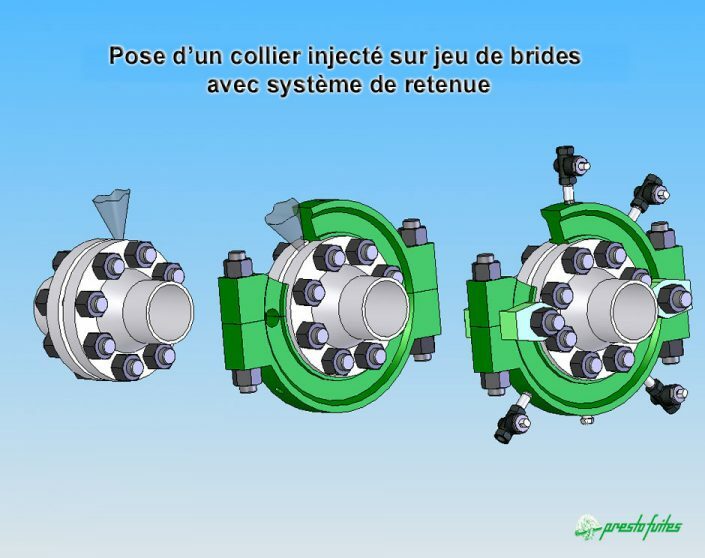 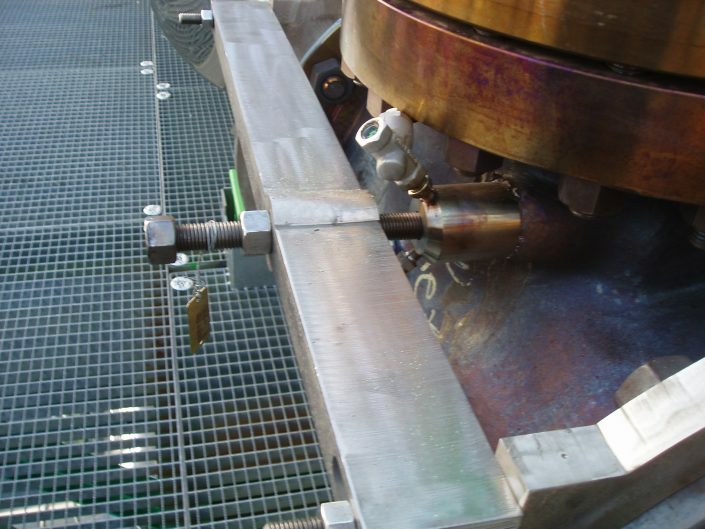 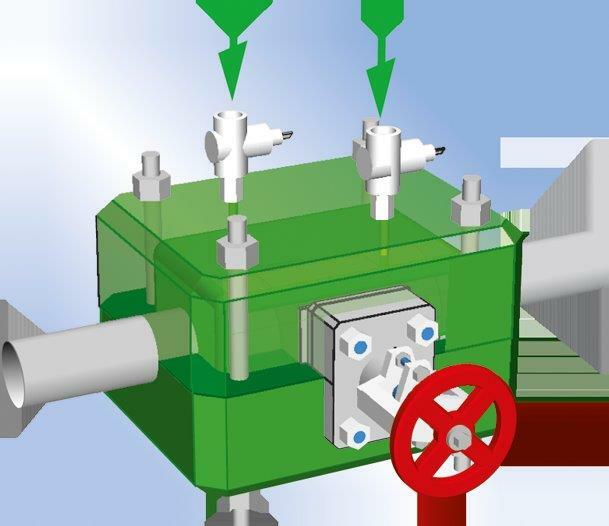 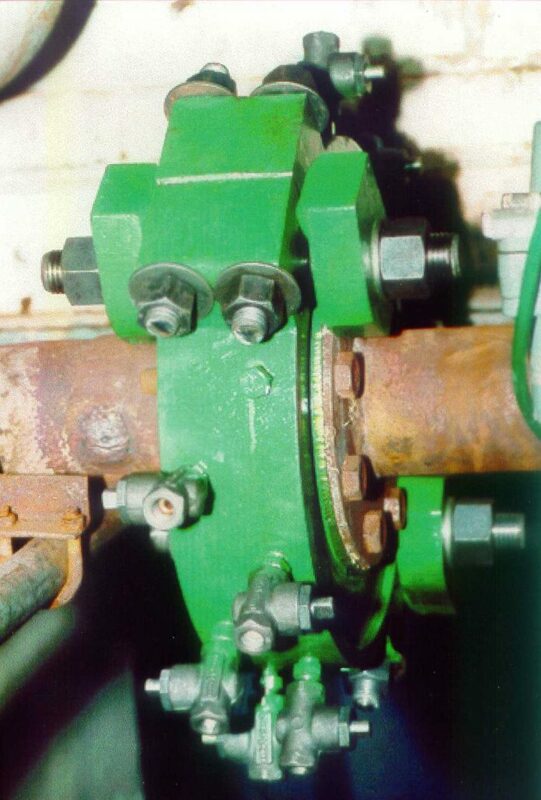 When the leak is located on the weld seam, we foresee its degradation and further potential disconnection over time by systematically designing a strong back clamp device, either connected to the metal box itself or separate. 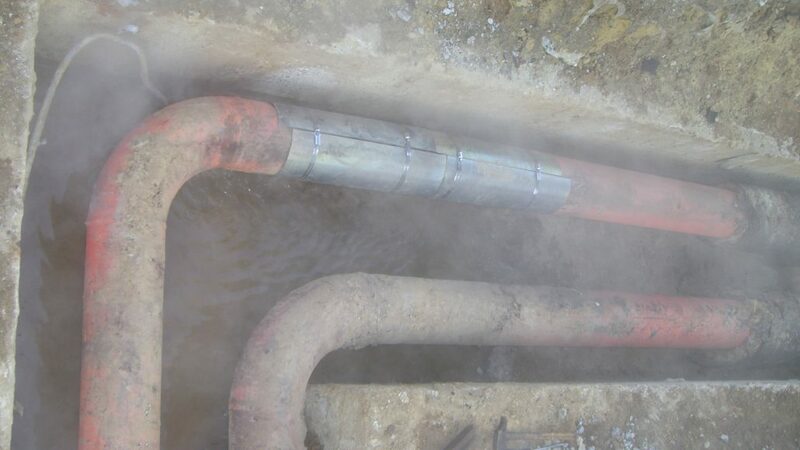 The leaking pipes showing a high corrosion level and very thin residual thicknesses will be dealt by means of a ‘’premoulded box’’, without injecting sealing compound. 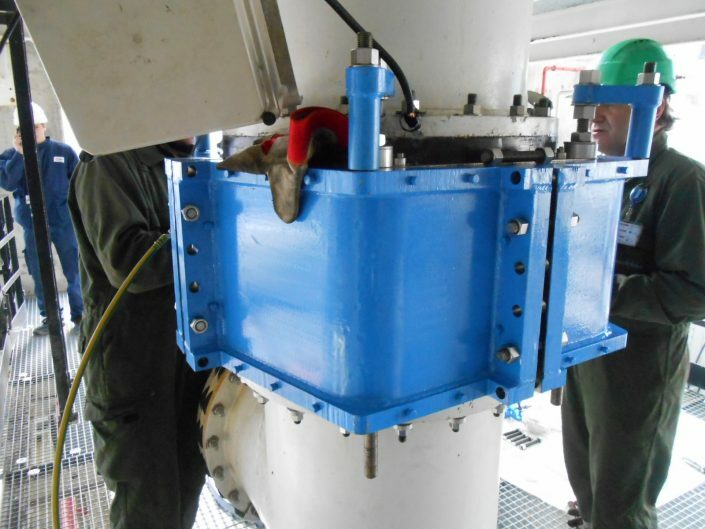 Whatever the pipe conditions are, the inside of our metal enclosures are fully ‘’injected’’ or ‘’ premoulded’’ so that no void capacity is created ! 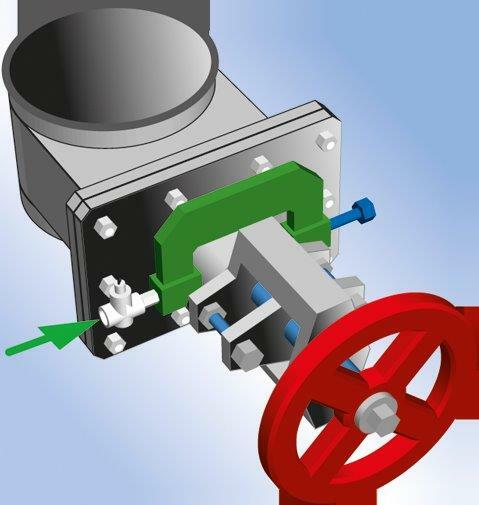 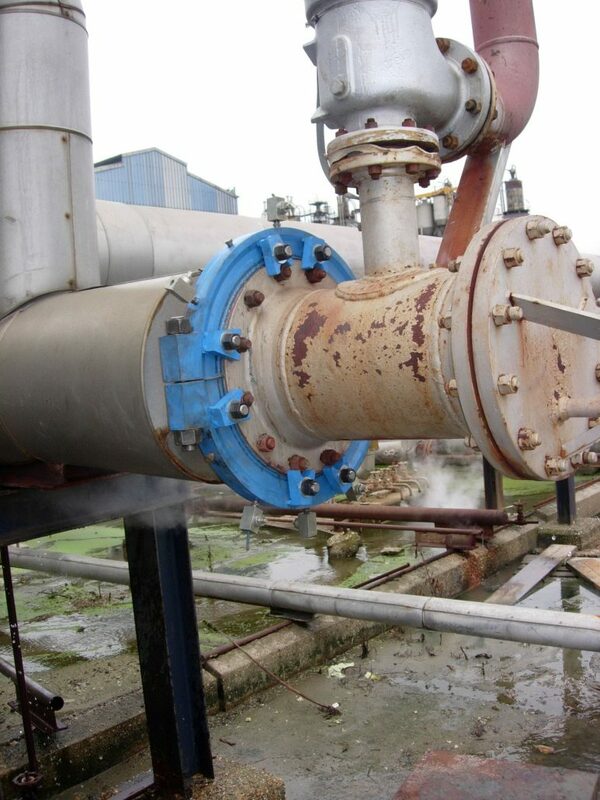 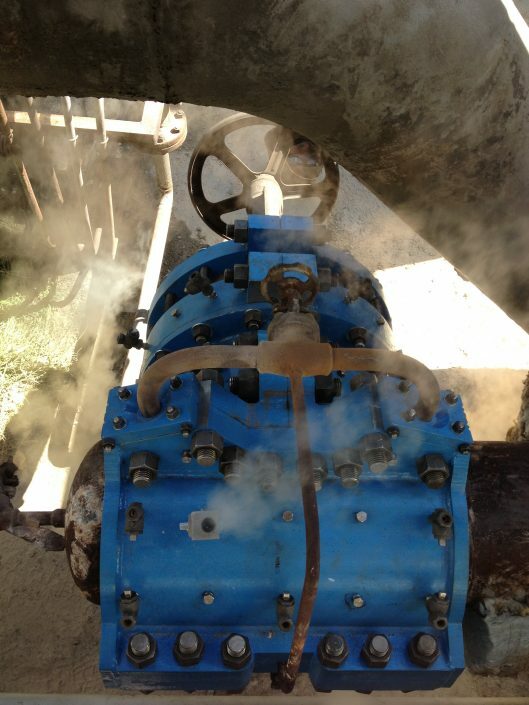 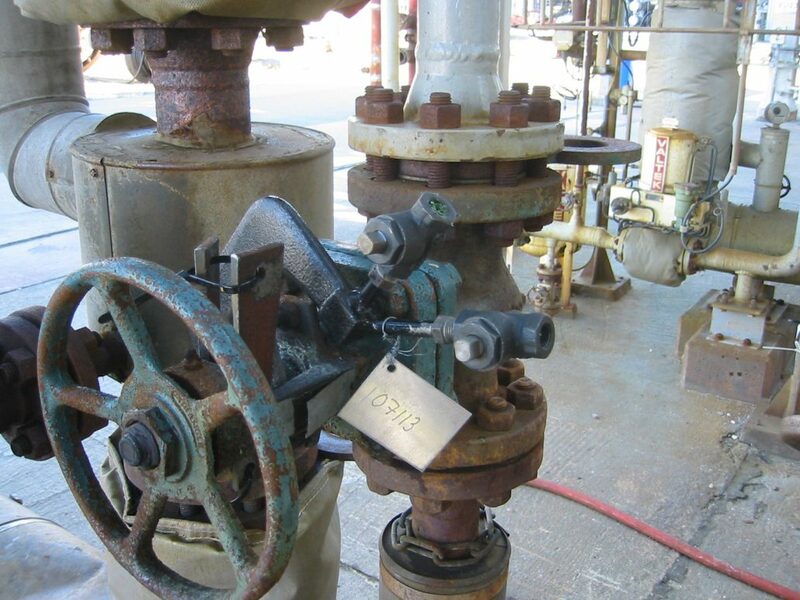 A leak located on a valve stuffing box is usually dealt with a G Clamp placed around the packing box area. 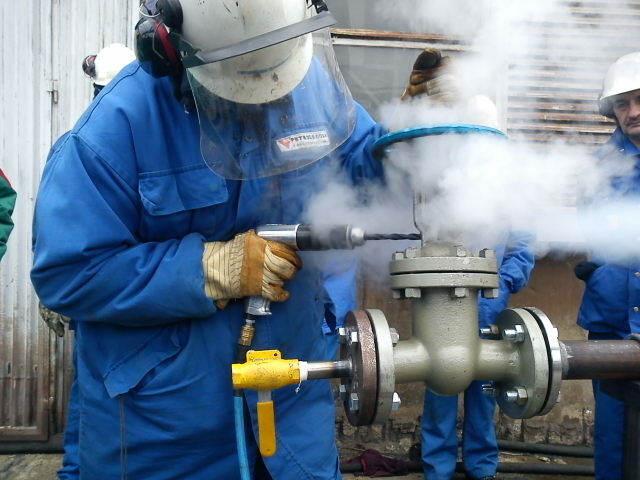 Then, a drill is operated all through the G Clamp down to the packing. 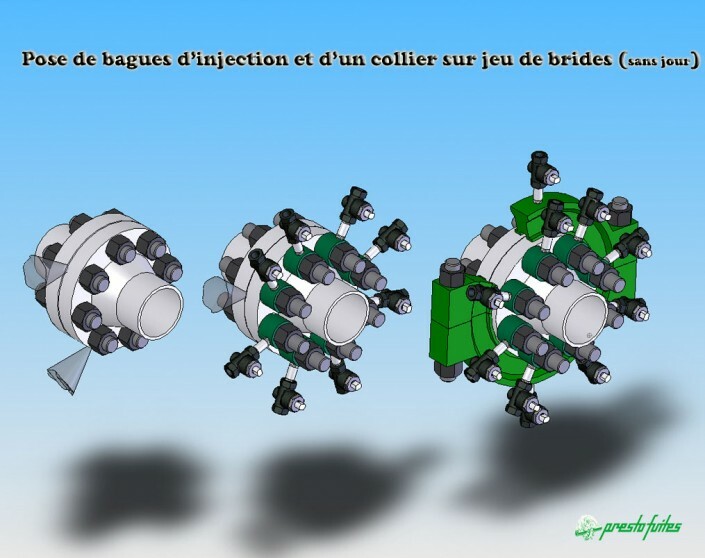 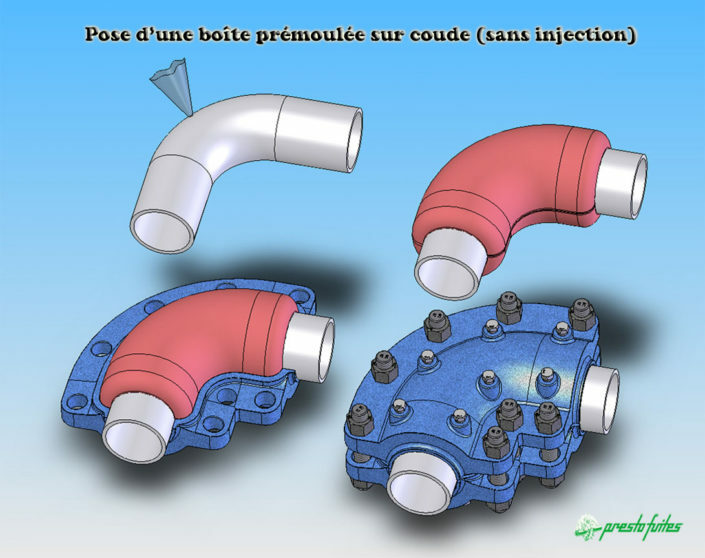 This ‘’break through’’ method creates a channel for injecting our sealing compound. 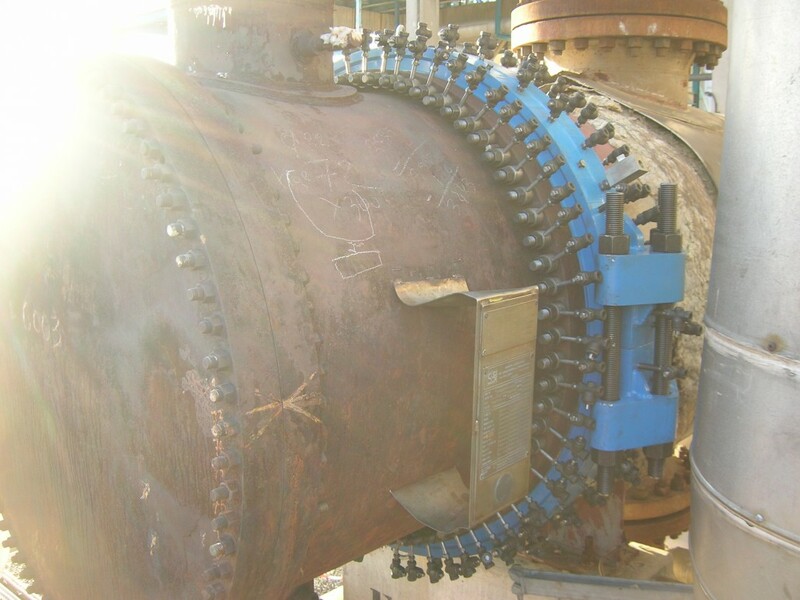 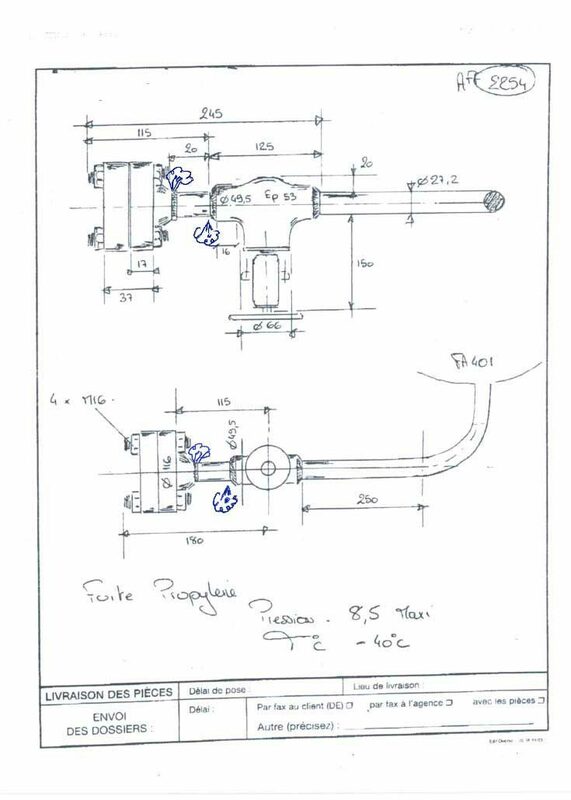 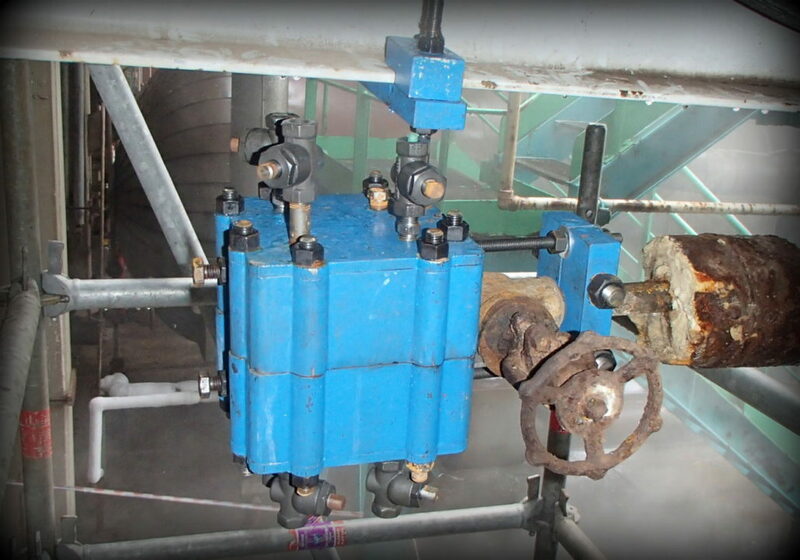 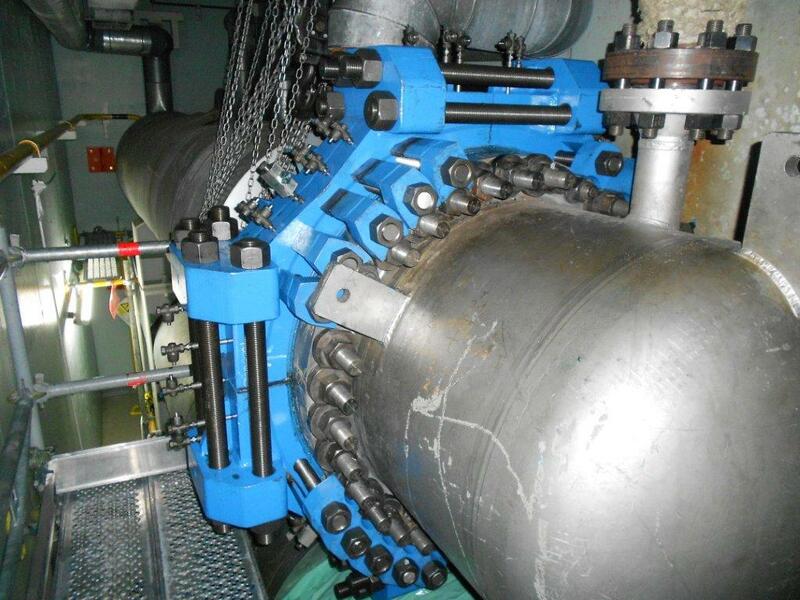 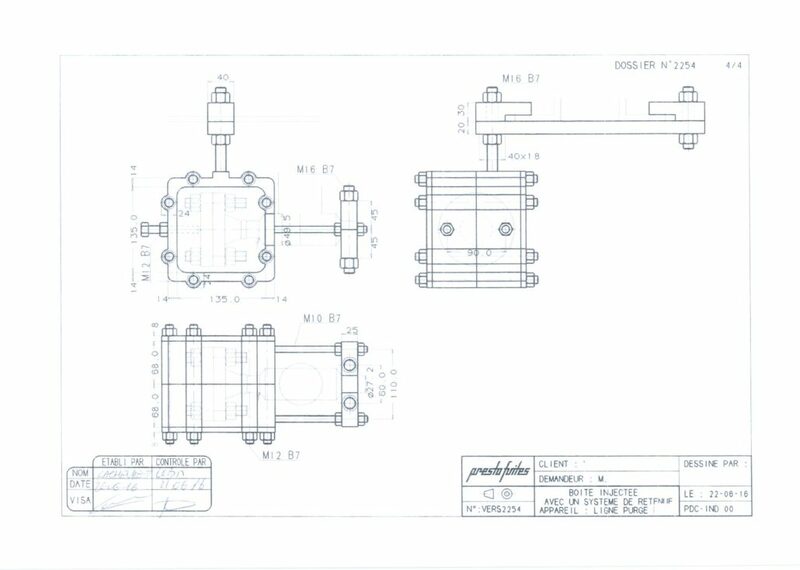 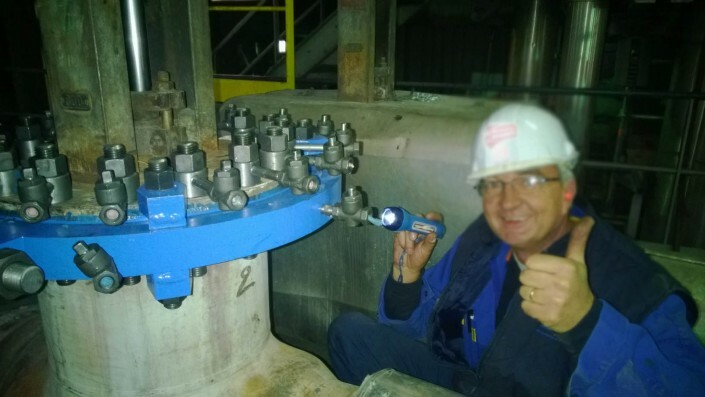 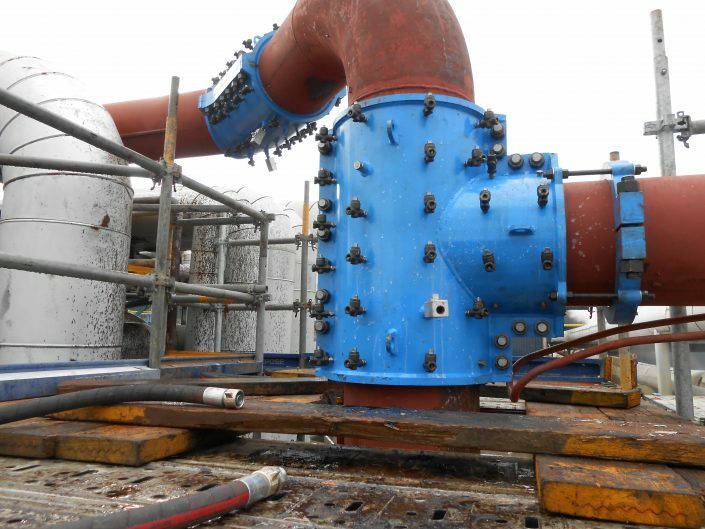 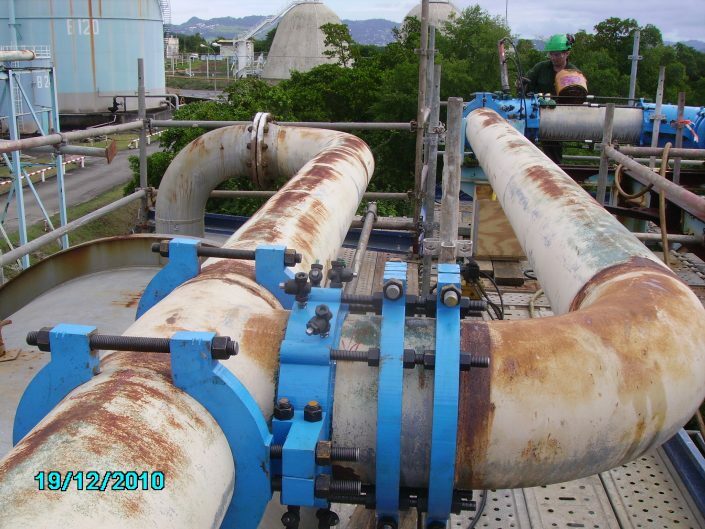 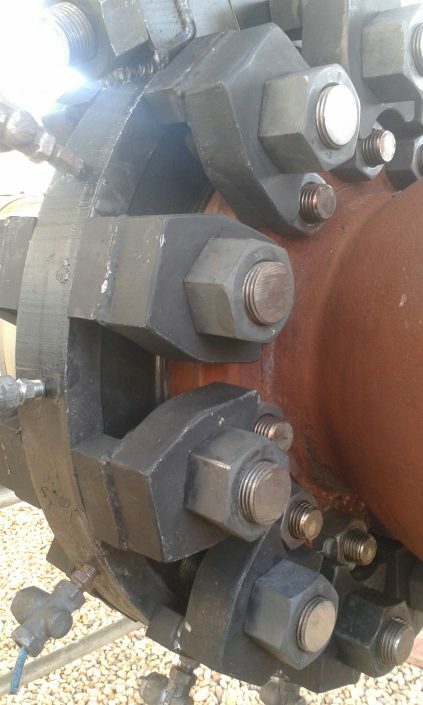 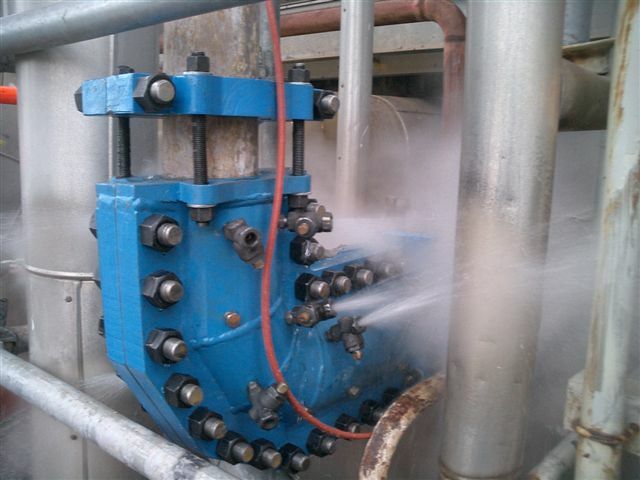 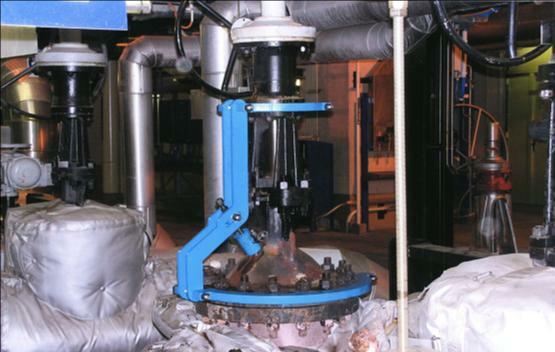 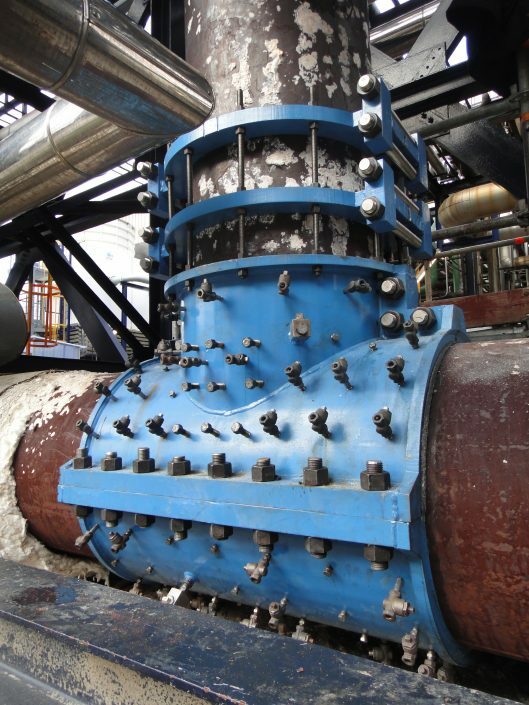 If our on-site assessment shows that the nuts of the packing gland flange are faulty or damaged, strengthening metal blocks will be installed before injecting sealing compound. 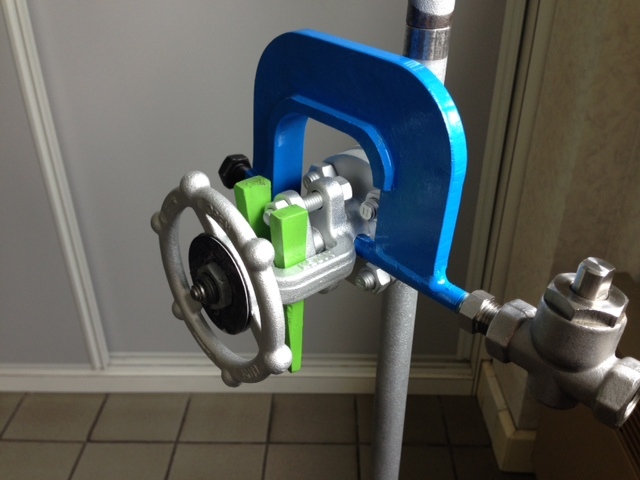 Petroseal enjoys a wide range of standard and customised G Clamps, even for jobs on hazardous leaking fluids.